Get salon blow dried hair with the Taurus Alize Hairdryer 2200W. The Alize Hairdryer 2200W has 2 speed and 3 heat settings. The Alize hairdryer 2200W also has a cool shot function and removable filter cover and hanging hook for easy storage. 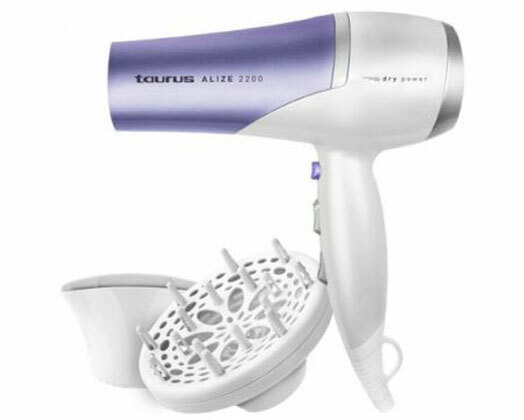 The Alize Hairdryer 2200W has concentrator and diffuser attachments included. 2 speeds and 3 temperatures. Removable filter, concentrator and diffuser.